Briana Dovi, who graduated from University of Texas at Arlington, is one of the few foster youths in Texas that has taken advantage of the free tuition waiver provided by the state. Shortly before her ninth birthday, Briana Dovi and her five siblings were placed into foster care in Central Texas. Dovi enrolled in school for the first time, battling speech disorders and dyslexia. “My siblings and I only interacted with one another, which caused our language skills to be underdeveloped," Dovi said. 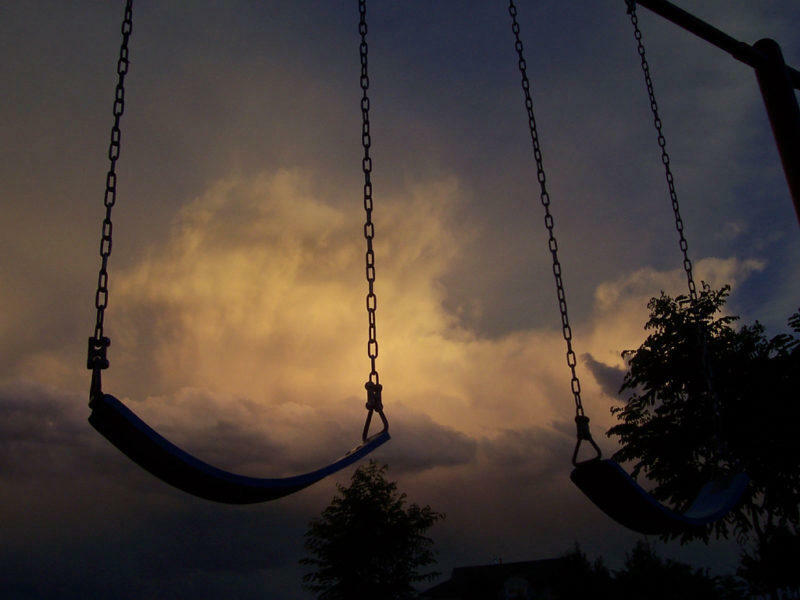 "When we were placed into [foster] care, we did not speak true English." Today, all six siblings have college diplomas — and Dovi has a master's degree — but they didn't spend a penny on tuition, thanks to a 1993 state program. In Texas, foster youths are eligible for waived college tuition and education training vouchers as long as they enroll before their 25th birthday. But many eligible students do not take advantage of the program. About 3,200 students used the waivers in the 2015 budget year at a cost to colleges of about $8.3 million, according to the Texas Higher Education Coordinating Board. That was a decrease from the 3,700 students who used tuition waivers two years earlier. Officials at the Department of Family and Protective Services said they do not know how many youths are eligible, but estimated in 2014 that roughly 11,000 youth qualified for the waiver. Department spokesman Patrick Crimmins said this month that number was "calculated with a loose methodology." The Department of Family and Protective Services, already facing a $40 million budget shortfall and a backlog of thousands of at-risk children awaiting assistance, faces yet another challenge: getting these children into college. The chairman of the House committee that oversees Child Protective Services said lawmakers will seek to address the issue during the legislative session that begins in January. Legislators are likely to file bills seeking to direct school counselors to assist foster care students with filling out the Free Application for Federal Student Aid, and to identify job opportunities for students who have aged out of the foster care system, said the chairman, state Rep. Richard Peña Raymond, D-Laredo. "We've come to recognize that if we have students interested in free tuition, it's another thing to deal with the whole situation of how you’re gonna get there, how you’re gonna live, how you’ll pay for books," Raymond said. "People forget that. If you really don't have a support group out there, once you’re on your own, it’s not that easy to make it even if you have free tuition." 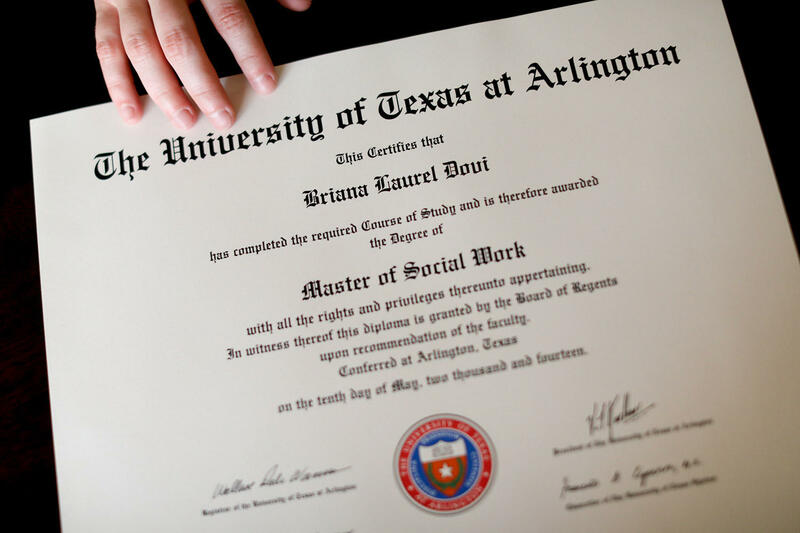 Briana Dovi got her master's degree in social work at the University of Texas at Arlington. She now works as an intake clinician in a psychiatric hospital. Texas is one of 28 states that offer free college tuition to former foster children, and many who are eligible do not take advantage of the program. Sometimes, they don't know they are eligible; other times, they are overwhelmed by the bureaucracy, according to a report by the Education Commission of the States, an education policy research group. In 2014, House Speaker Joe Straus, R-San Antonio, asked the House Human Services and Higher Education Committees to study how to retain more foster youths in higher education. The panels met in a joint hearing that year and learned that data was almost non-existent on which students were eligible and which students were participating, said state Rep. Donna Howard, D-Austin. State officials "couldn't even tell us how many foster kids were in each grade," said Howard, vice chairwoman of the Higher Education Committee. Now, the Texas Supreme Court's Children's Commission is working with the Department of Family and Protective Services and the Higher Education Coordinating Board to gather information on graduation rates in advance of the 2017 legislative session, said Monica Faulkner, a UT-Austin associate professor who is involved in the effort. Dovi works with the commission to assist university foster care liaisons to help youth apply for the tuition waivers and other state benefits. Timothy Belseth, a research coordinator at UT Austin School of Social Work who was in foster care as a child, said that less than half of Texas foster children don't even graduate from high school. With low educational attainment alongside the emotional trauma and instability foster children endure, Belseth said they often "don't think of college as a priority". “They don’t really know what to do when they go out in the real world,” Belseth said. “If they turn 18 and leave the system, there's a very small chance they’ll stay in the system. The waiver has a time limit. You have so many youth with bad experiences in the system, some of them don’t take advantage of [the waiver] and sadly they can miss that opportunity." Dovi, who now works as an intake clinician at a psychiatric hospital, said the tuition program changed her life and is hoping to get more kids take advantage of it. "Many foster children lack support. A lot of them are educationally behind and have emotional and psychological difficulties," Dovi said. "Going to college is a huge step for these children. The main thing is educating the kids with what's going to happen and how to do it." Texas began a strategic plan to reform the foster care system in 2014, but the overhaul is still in the early stages of rollout. The plan has been moving forward without much fanfare, at a time when Child Protective Services is taking a lot of heat for some high-profile tragedies. The biggest change is a shift away from investigation efforts – the CPS worker who comes knocking on the door asking questions – to a public heath approach aimed at strengthening families and reducing the number of serious injuries and fatalities. The plan puts a heavy emphasis on the staggering cost of child abuse and the need to be smarter about resources – to use big data as never before. Ensuring that children and other vulnerable Texans are not left behind as the state grows should be the focus of the next legislative session, Texas House Speaker Joe Straus said on Tuesday.